R.E.M. 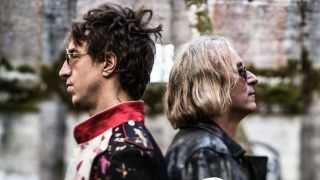 co-founder Peter Buck has announced that he will release an album with Fistful Of Mercy songwriter Joseph Arthur later this year. Titled Arthur Buck, it's due for release on June 15 via New West Records. It’ll mark the duo's first collaboration. The album will be available on blue and red split coloured vinyl, standard black vinyl, and CD. It's currently available for pre-order. Listen to first track I Am The Moment below. Sign up below to get the latest from Louder, plus exclusive special offers, direct to your inbox! Louder is part of Future plc, an international media group and leading digital publisher. Visit our corporate site.